If you would like half a dozen of these moulds then Hirst Arts in the USA offer an unbeatable deal, but if you’re in the UK or Europe, and only want a few, then we can probably offer you a better deal, and get them to you much faster. We created this site after becoming users and fans of the moulds ourselves. We wanted to offer a better deal to folks in the UK and Europe who only want a few moulds; perhaps to give them a try, or more likely because they already own a couple of dozen and want just one more. We offer the moulds at the best prices we can according to the exchange rate i.e. we don’t round up to the next full pound or 99p, and our website tells you exactly how many of each mould we have in stock, so you know you won’t have to wait. We’ve also programmed our shopping cart to calculate postage according to the weight of the items you put in it. So please, give it a try. We think you’ll like what you see. 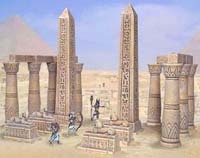 Please note that this site has no connection with Hirst Arts Fantasy Architecture Inc. except that we stock and sell their products. 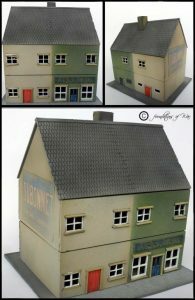 We also produce affordable Wargames terrain, scenery and accessories such as starter sets, buildings and highly detailed. 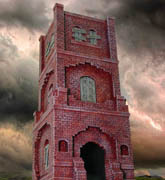 We specifically produce items suitable for 15-30mm scale wargames such as Warmachine, Confrontation, Warhammer 40,000, Hordes, Flames of War, Warhammer and The Lord of the Rings etc. If you wish to enquire about anything you see here, please contact us. Hi, your contact page is broken and there’s no response on both the email address used for account activation and the one provided on your facebook page, what’s going on? Hi, you can contact us via foundationsofwar@gmail.com.